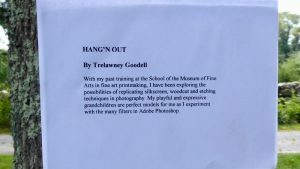 I have been taking photos of the fire connections on the sides of buildings since approximately 2005. 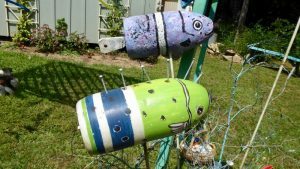 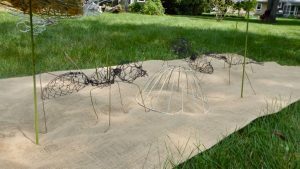 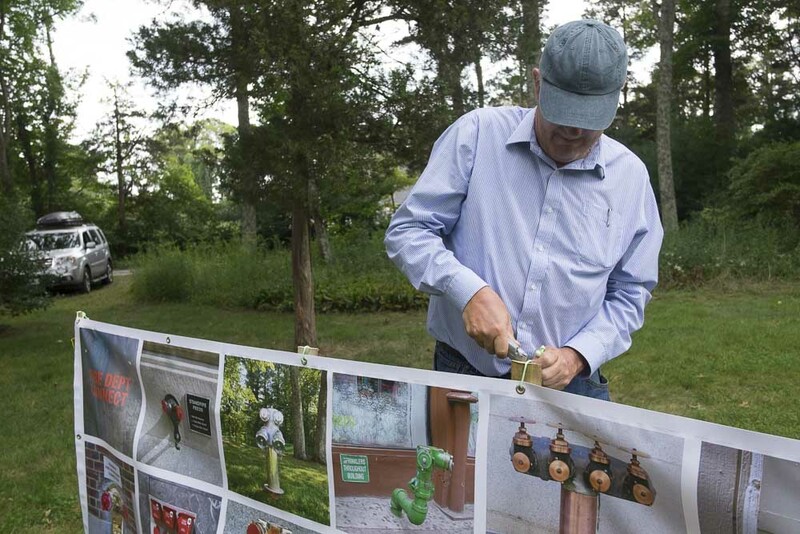 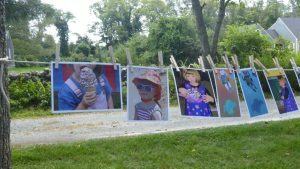 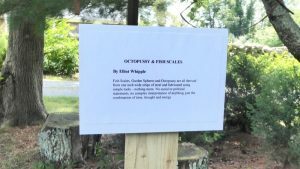 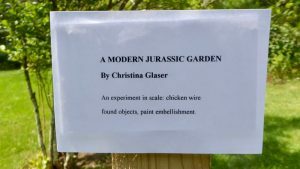 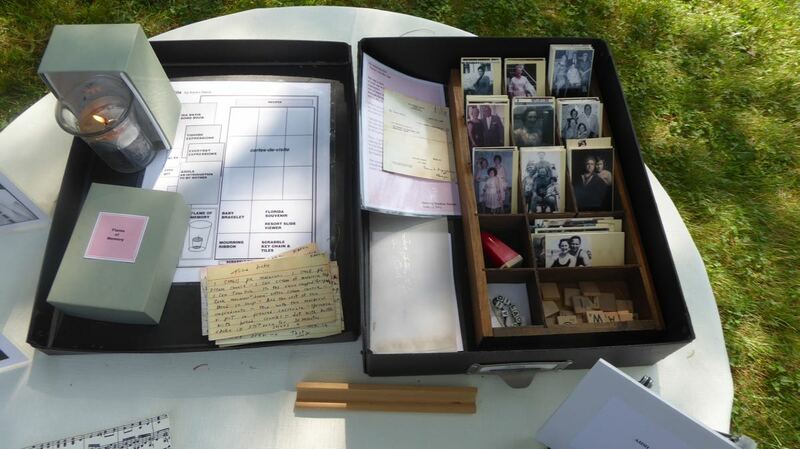 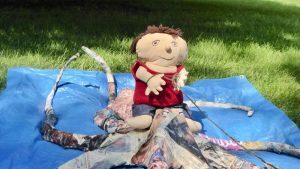 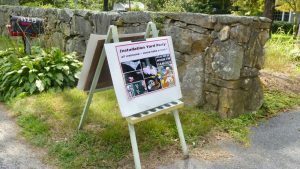 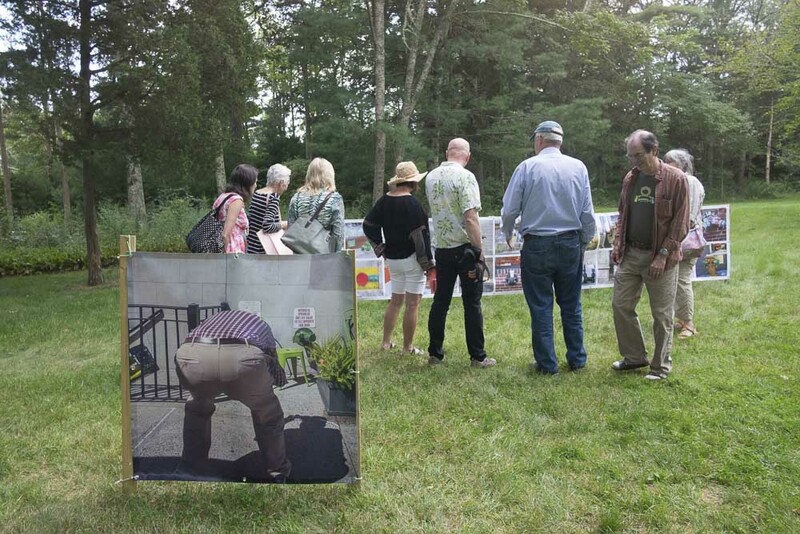 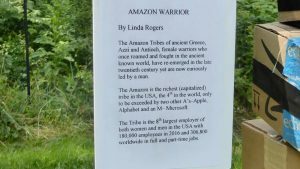 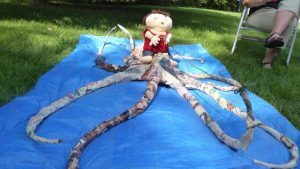 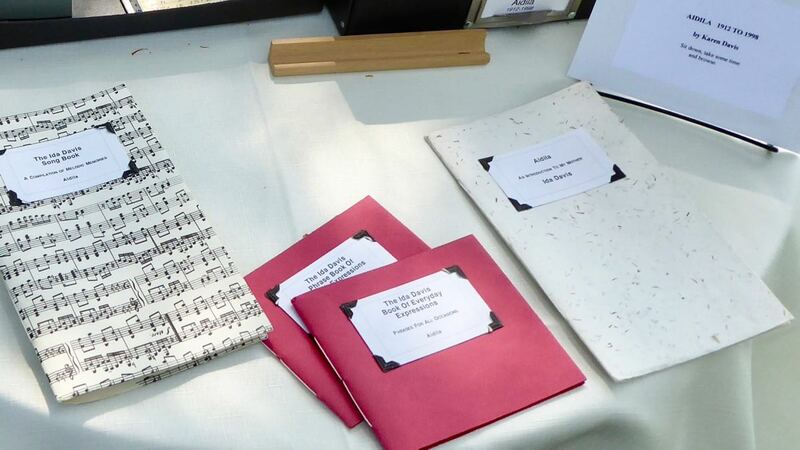 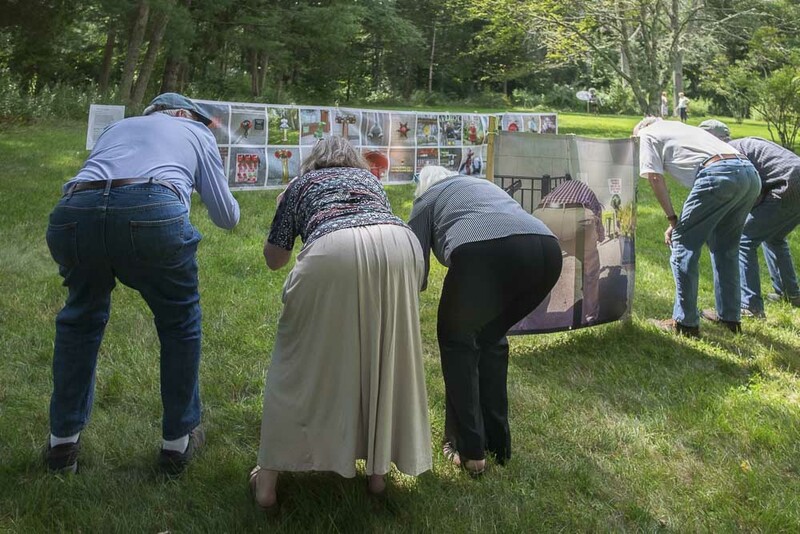 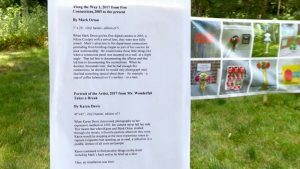 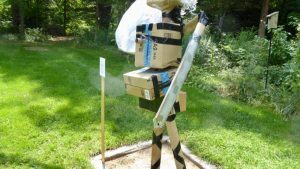 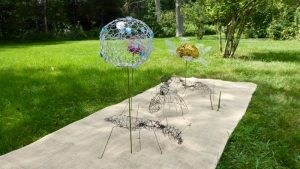 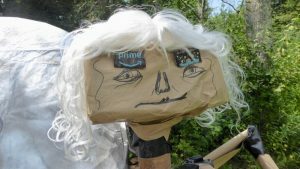 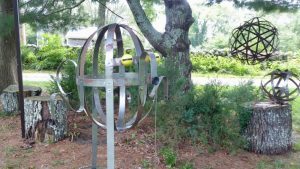 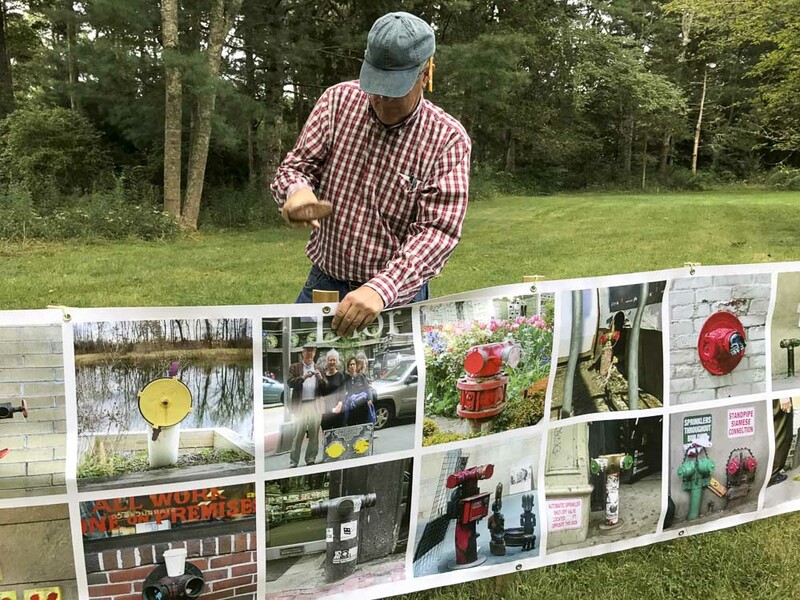 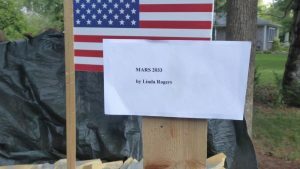 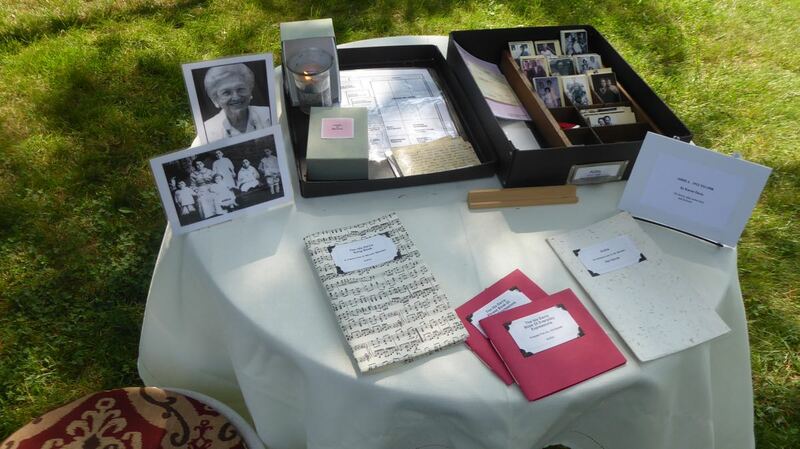 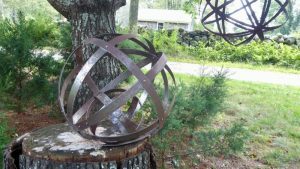 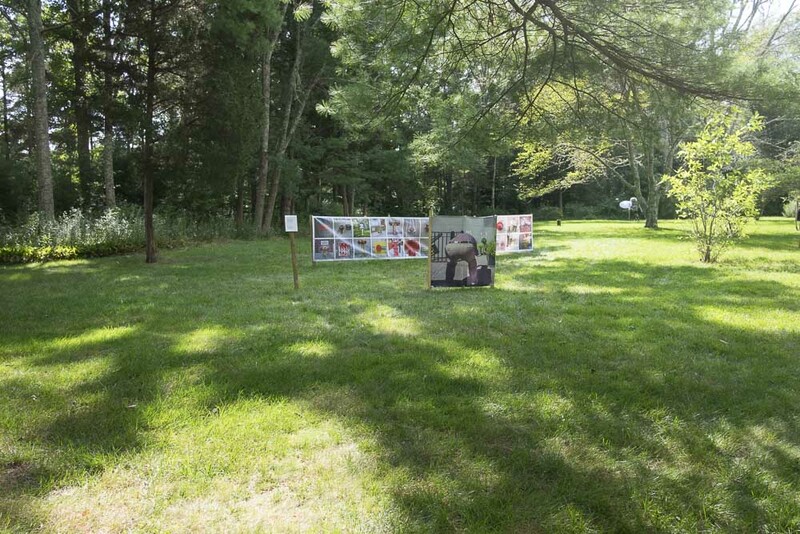 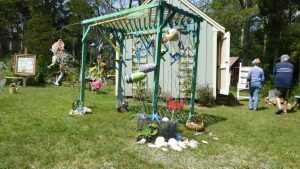 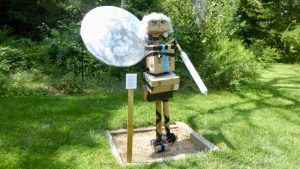 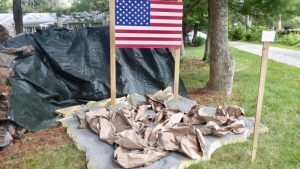 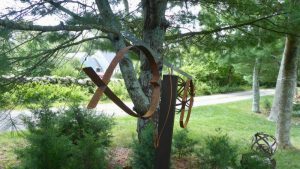 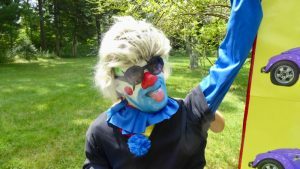 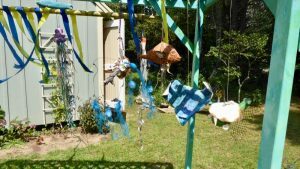 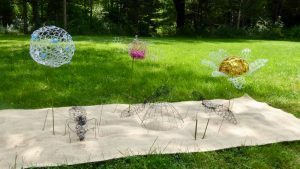 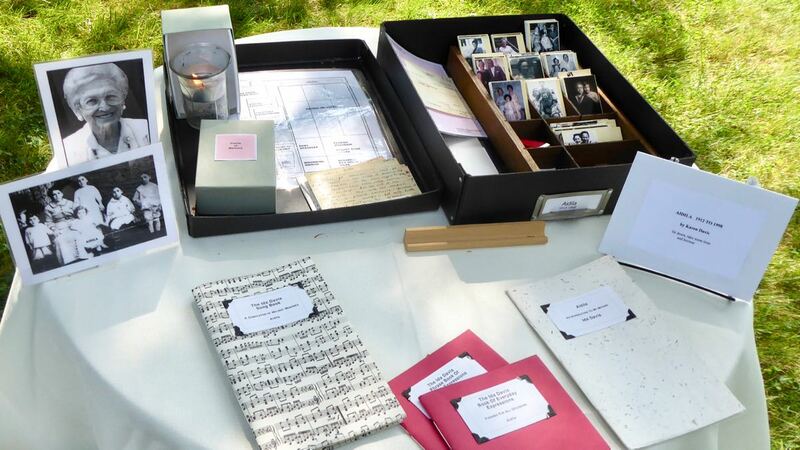 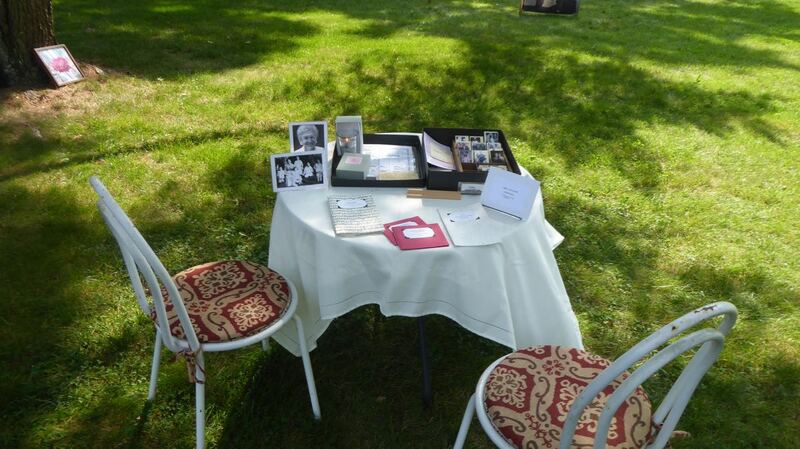 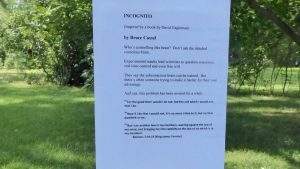 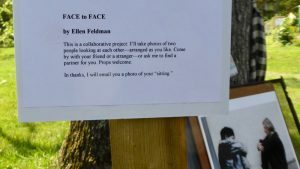 Recently, at the invitation of founder and curator Linda Rogers, I participated in her Second Annual Installation Yard Party art event (8/26 – 8/27/2017) in the backyard of her house in Westport MA. 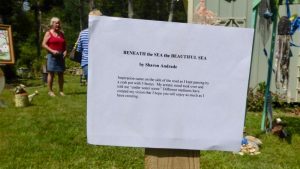 Karen assisted and contributed mightily. 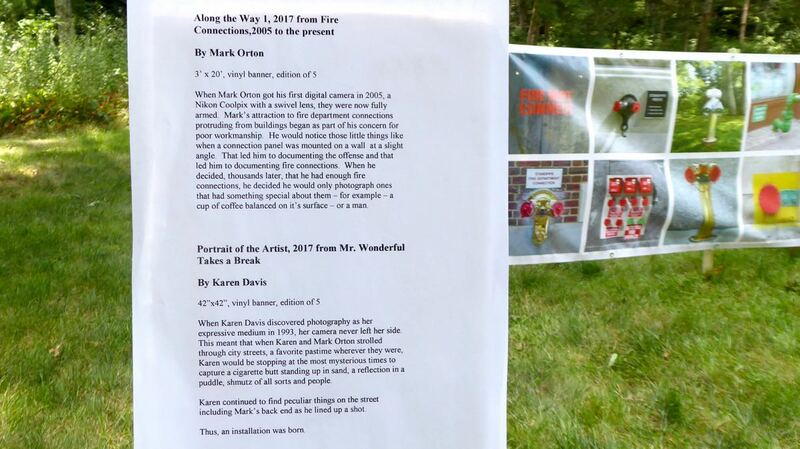 Our installations, “Along The Way 1, 2017 from Fire Connections, 2005 to the present” by me and “Portrait of the Artist, 2017 from Mr. 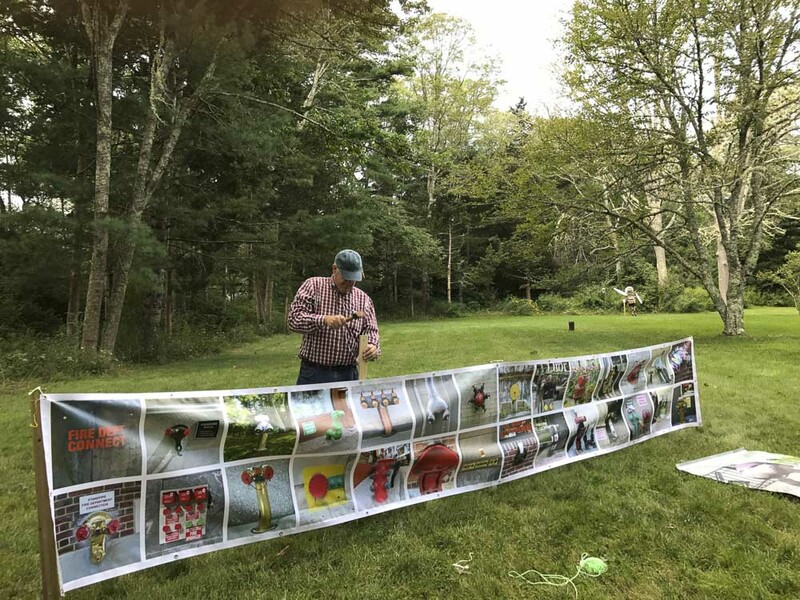 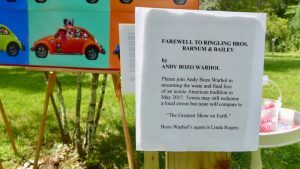 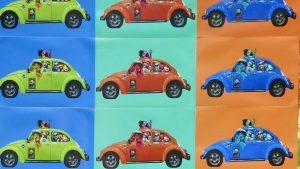 Wonderful Takes a Break” by Karen, were presented on large vinyl banners staked out in the yard. 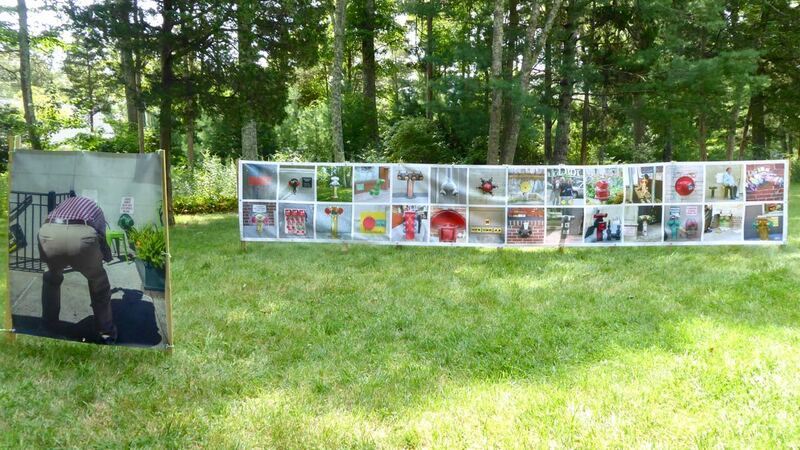 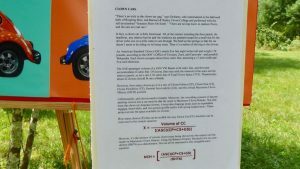 My banner was 20 ft. long by 3 ft high. 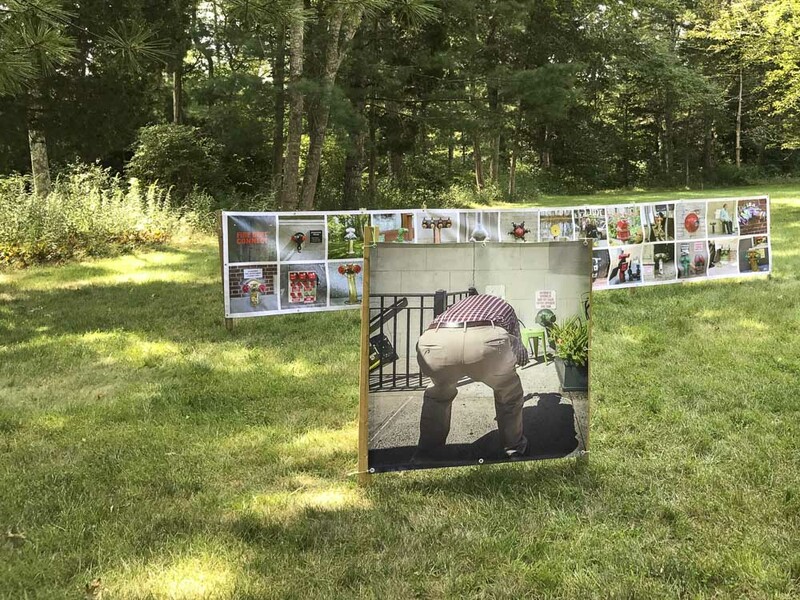 Karen’s was 4 ft sq. 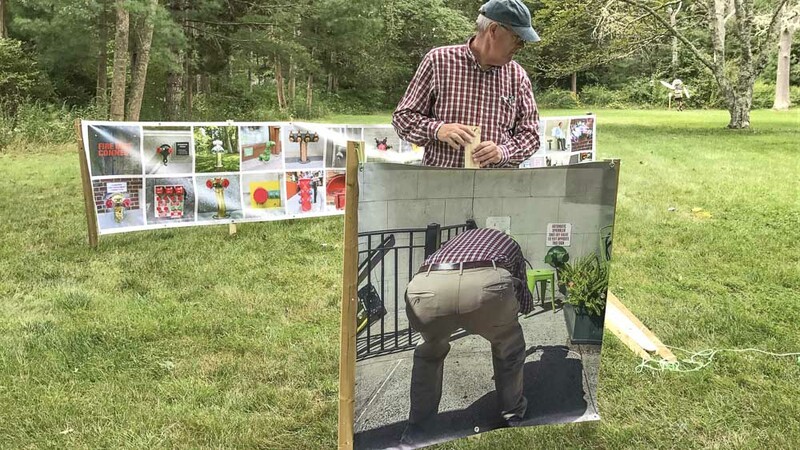 This captured the most attention. 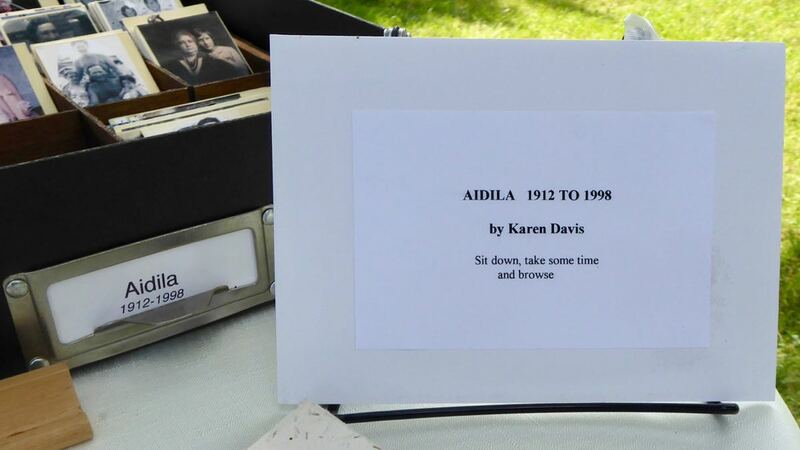 Karen also presented another work by her, “Aidila 1912 to 1998”.